A personal assistant has been convicted of plundering millions of pounds from her bosses in a City bank. 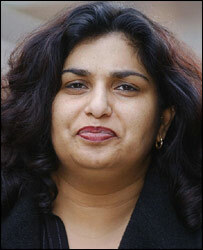 Joyti De-Laurey, 35, stole £4.3m to enjoy a lavish lifestyle which included luxury cars, villas and designer gems. Southwark Crown Court heard she even told her bosses at Goldman Sachs she had cancer to help gain sympathy. But, aided by her mother and husband who laundered the cash, De-Laurey forged cheques and switched the money into her own accounts. By the time her life of crime came to light, she had transferred more than £2m to Cyprus. Part of that was to buy the luxuriously appointed Villa Almas, near Paphos, which came complete with a new Range Rover. That was to form yet another addition to her growing stable of top-of-the-range cars, comprising a Saab convertible, a Chrysler Grand Voyager and a Volkswagen Golf. The defendant's mother, Dr Devi Schahhou, a 68-year-old GP of Hampstead, north-west London, was also convicted of four counts of money laundering. But De-Laurey's husband Anthony, a 50-year-old former chauffeur, was convicted by the same jury of four counts of money laundering and acquitted on four other related charges. The jury took more than three days to convict De-Laurey, from North Cheam, Surrey, of four counts of using a false instrument and 16 counts of obtaining a money transfer by deception between 15 February 2001 and 26 April 2002. The total of value of her fraud was £4,303,259. The court was told De-Laurey, who was convicted by a majority of 11-1 on each count, went on what the prosecution described as "astonishing" spending sprees. The secretary claimed she was allowed by her bosses to take the money for her "indispensable services" such as covering up for one banker's extra-marital affair. 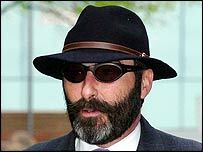 The prosecution said De-Laurey stole £1.1m from a New York investment account belonging to Jennifer Moses and her husband Ron Beller, who worked at blue chip investment bank Goldman Sachs. It also said she then took more than three times that amount from their successor, Edward Scott Mead. A statement issued by Mr Mead said: "I'm pleased and relieved this long saga is now over and everyone affected can now get on with their lives. "Joyti De-Laurey has mounted a vindictive and implausible defence in which she and her team of lawyers attempted to put the victims on trial." 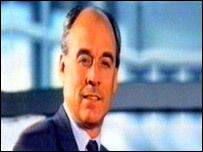 Her downfall only came when Mr Mead was examining his bank accounts himself with a view to making a donation to his former college in May 2002. He found the balance of income on the accounts to be much lower than it should have been. The money had been siphoned by De-Laurey - who spent nearly £18,000 on one trip to Cartier jewellers. 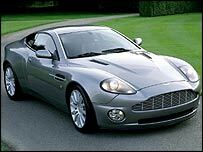 Stuart Trimmer, prosecuting, said she also bought new cars for relatives and ordered a £175,000 Aston Martin and a £150,000 power boat, neither of which was delivered. More money went on designer clothes and travel bills and more than £2,000 paid for flying lessons. Mr Mead said he felt he had been "put on trial"
The court heard that within months of starting work for Mrs Moses at £28,000 a year plus bonuses, De-Laurey was proving indispensable on both business and personal fronts. She made out cheques for them to sign and paid their many bills, made personal shopping appointments for Mrs Moses, booked waxing sessions for her and arranged holidays. Added to her undoubted efficiency was the sympathy she got from claiming she had cancer. These factors combined to weave a tapestry of trust behind which she stole at will, beginning in June 2000. When Mr Mead became her boss, De-Laurey once again employed her forgery skills to copy his signature on a string of transfer authorities to siphon up to £2.5m at a time from supposedly secure New York investments. The prosecution said that it intended to launch confiscation of assets proceedings against the three defendants. De-Laurey was refused bail and will be held in custody until she is sentenced on 14 June along with her mother and husband.